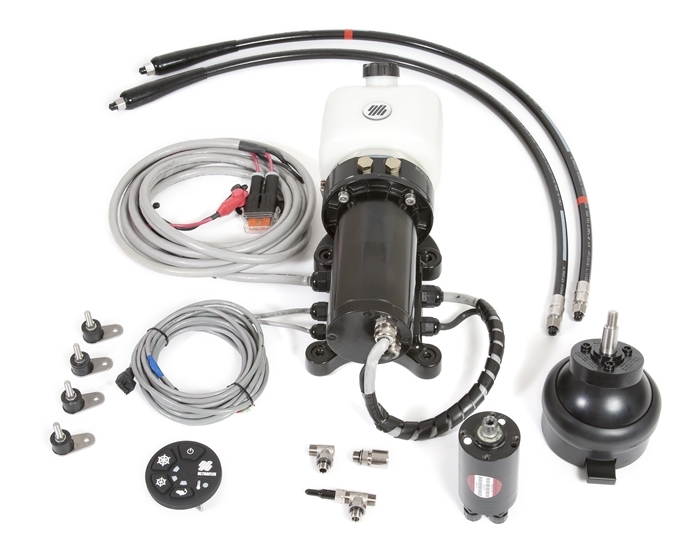 Eliminates torque at the steering wheel  Three different selectable levels of power give the boater the desired feeling on the wheel (PATENTED).  Automatically reverts to manual mode in case of power loss. 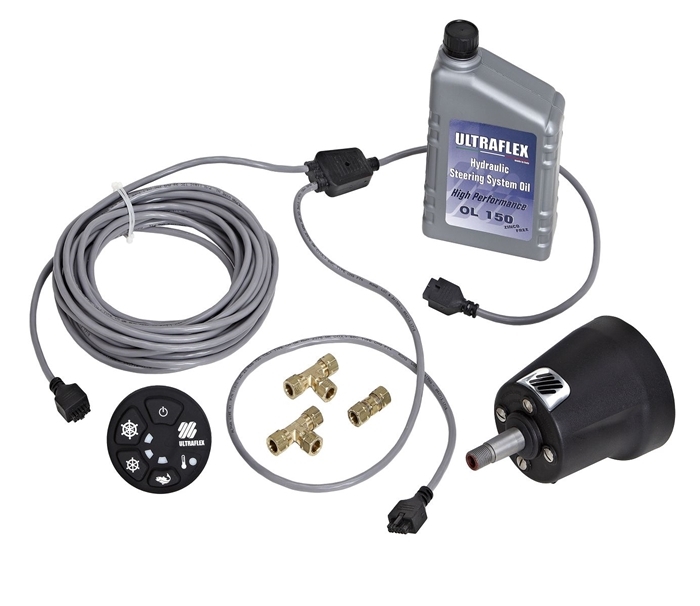 This is a standard Inboard and Outboard kit that does not include Cylinders, Hose Kits and Steering wheel. 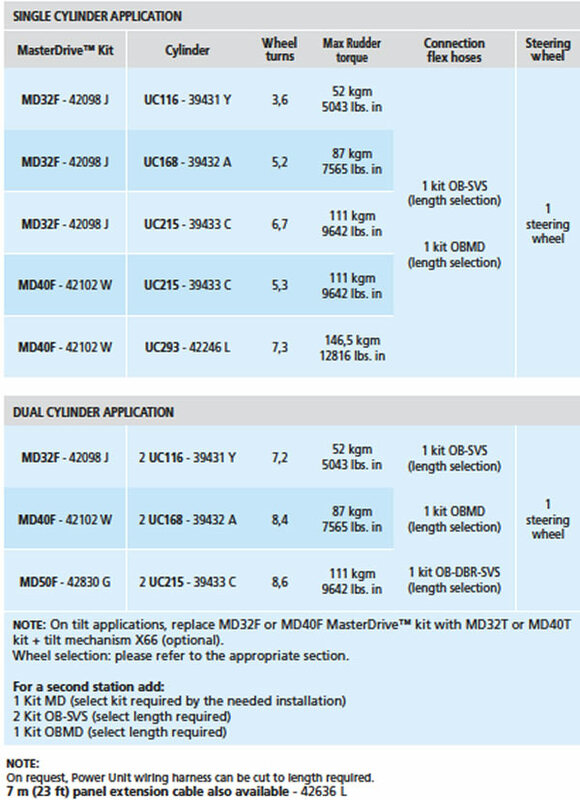 See (suggested model chart below order guide) Please indicate what Cylinder model needed from chart below. You will also need to order Hose Kits (Not Included) and a Steering Wheel If required. 1 Tilt mechanism X66-40613 M suitable for Tilt Mount Helm. Tilt range of 48° and five locking positions. 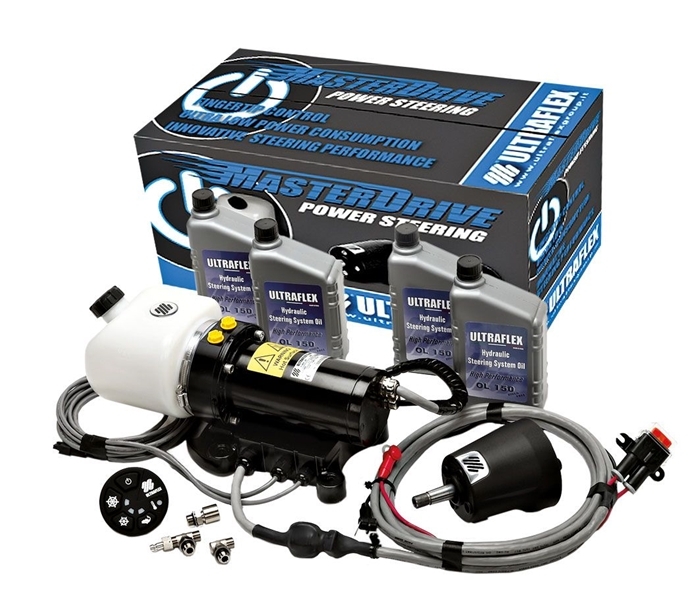 The MasterDrive™ helms (both the UH Master and the UHD slave for a dual station), the UPMD Power Unit and the UCMD User Interface are the same products shown on the outboard MasterDrive™ system. 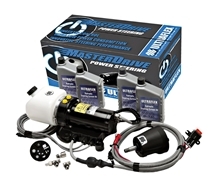 For more details please refer to the outboard MasterDrive™ section. See Ordering Guide below.